Today’s brand leaders must communicate new disease state information to their own employees as well as to physicians, patients and payers. 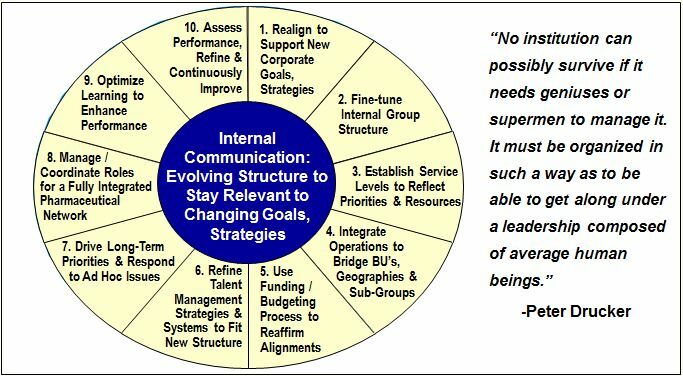 Most companies rely on established external communication practices to reach internal audiences, but leading brand teams develop specialized internal communication processes, channels and guidelines to customize their messages for employees. The reason for this targeted communications is simple: Employees are bombarded with information. Where external messaging helps simplify patients’ and physicians’ lives by streamlining their choices, internal messaging allows the company to prioritize its time and ensure that its employees are working from the same playbook. But getting these messages to sync up and ensuring clarity with internal brand messaging is critical for those companies that wish to create a platform from which to communicate their vision, mission and urgency. Internal branding helps improve credibility and strengthens the bonds of trust between leaders and employees.